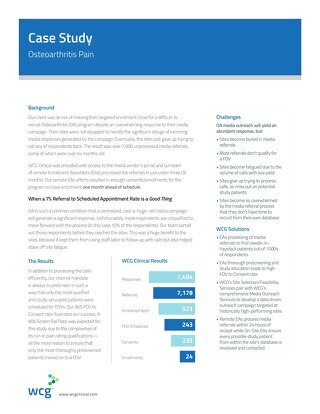 Our customer, a top-tier CRO, had been running their study for six months when enrollment, as well as new screenings, had plateaued. 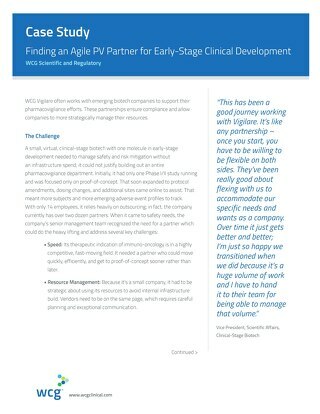 While we’ve executed dozens of successful recruitment programs for this customer in the past, they were hesitant to bring us on board to rescue the program because we had no previous related experience with this very unique type of study/ patient population. After lengthy consideration and no increase in new screenings or enrollments, they knew that they needed to do something, and contracted with us to conduct a pilot. 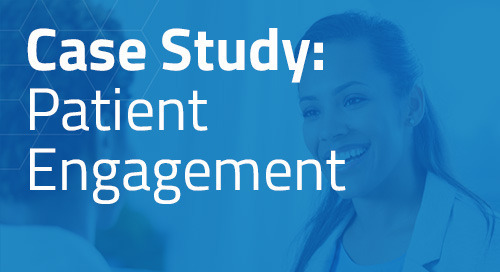 We very quickly built their confidence by showing results from the pilot, and expanded by utilizing strategic media buys, including radio, TV, and print, across 13 sites and 8 markets, to jump start screening and enrollment. Additionally, we provided site materials kits and a study website with on-line self-screener as an informational tool, available 24/7. 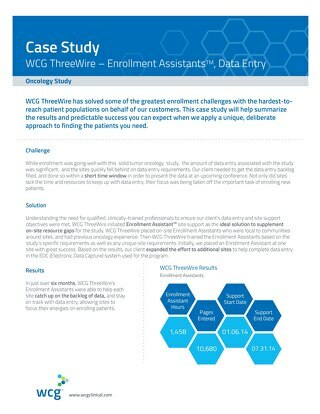 We also provided in-field “on-the-ground” support through our Enrollment Assistant™ services at select sites. 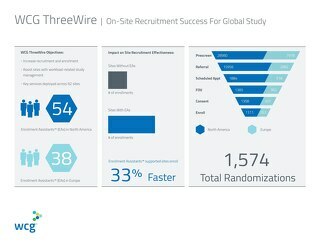 ThreeWire screened a total of 3,650 patients in just a little over six months, referred 1,451 patients, netting a total of 71 (ThreeWire) enrollments, allowing the CRO and sponsor to close enrollment ahead of their adjusted enrollment timeline. 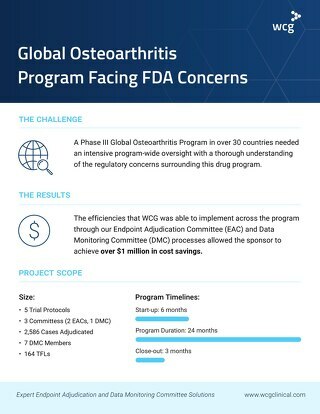 Our customer needed support for a global, multi-protocol program which was behind with enrollment.